In line with commitments started in 2006 for the launch of the Porto Lab project, distribution of the new Contship Italia homework diary kicked off in more than 100 primary schools and provinces. A new homework diary – respecting a long established tradition – that bonds Contship Italia Group to thousands of students and their teachers will support a new cause which everyone, from public institutions and firms, to citizens, should seriously take in consideration: sustainability. A challenge to turn sustainability in a practical and simple concept, which is often discussed but not always taken into consideration in everyday decisions. A rather complex matter for primary school children too (Porto Lab's primary target) through a “fascinating” journey of a printer – from place of production to final destination in a school – as a plea to churn out main goals of environmental, economic and social sustainability, which more often than not, require true and courageous daily practice. Two new “friends with wings”, the Contcheeps, will accompany school kids and teachers throughout the pages of the diary, published in both Italian and English language, offering valuable hints and insights that every youngster can put into action by himself or with his/her family. 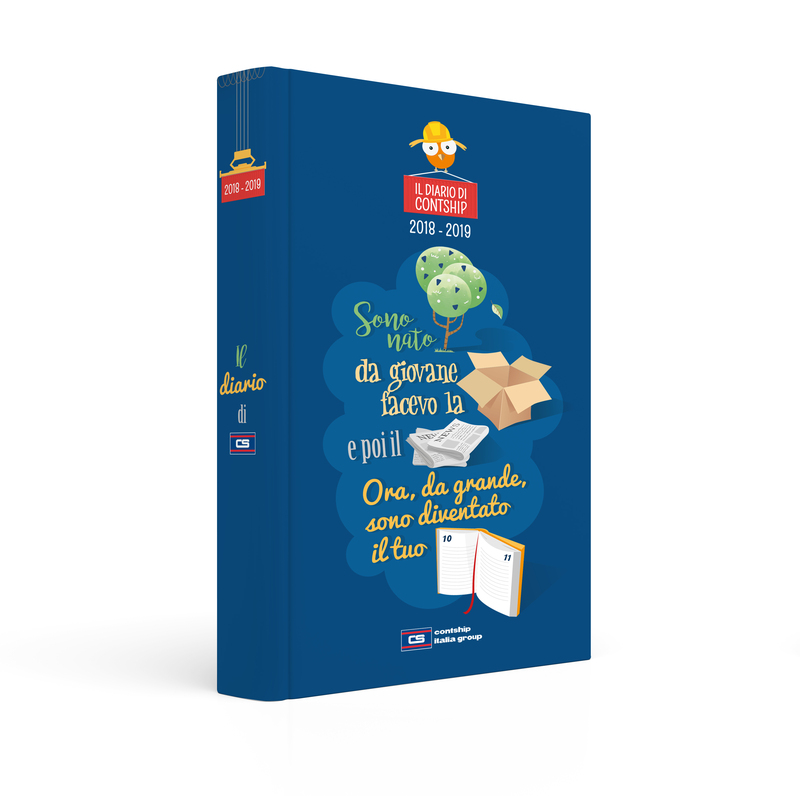 “We are really proud of this new homework diary edition” says Daniele Testi, head of Marketing and Commucation at Contship Italia Group and President of SOS LOGistica, the first Italian association for sustainable logistics. “Supported by the Porto Lab tutors, the experts that developed the contents of the project and a new creative agency, we managed to design an engaging yet simple journey. Once again, intermodal hubs and ports will turn into open-air laboratories, hosting innovative on-field educational activities; something not so obvious. This is the main strength of the Porto Lab project, which is expanding outside the network of cities where Contship is directly investing with its business – as a positive consequence of a growing network of partners and supporters that back up the project with great commitment”. The Contship Homework Diary is an initiative promoted by the Porto Lab project, created and managed by Contship Italia Group with support from: Gruppo Grendi, Gruppo Bedeschi, Kalmar Italia, Kuenz, SKF Logistics Italy, Brieda Cabins, Sapir, SOS Log – Association for Sustainable Logistics and in collaboration with the East-Ligurian Sea Port Authority, Sardinian Sea Port Authority, the Centre-North Adriatic Sea Port Authority, Port of Gioia Tauro, INAIL La Spezia and INAIL Sardinia. Contship Italia Group has delivered, to this day, 130.000 homework diaries and has met, during the Porto Lab on field activities, more than 30.000 kids coming from 900 schools in Italy.